Thoughts: Fantastic laddie, not quite the old school sherry bomb the marketing team wants you to believe it is, but certainly some nice elements are there. It’s got lots of fruit and chocolatey notes with some tobacco leaf, pencil shavings and wispy smoke, but to me it leans more towards the bourbon cask notes. Nevertheless, the casks became good friends and it all works very nicely. For this Limited Edition release, Master Distiller Jim McEwan has married some of the best casks in the warehouse. From the mid-1980s, traditional American Oak Bourbon Casks bring classic creamy vanilla notes and some of the last of the fabulous sherry butts. 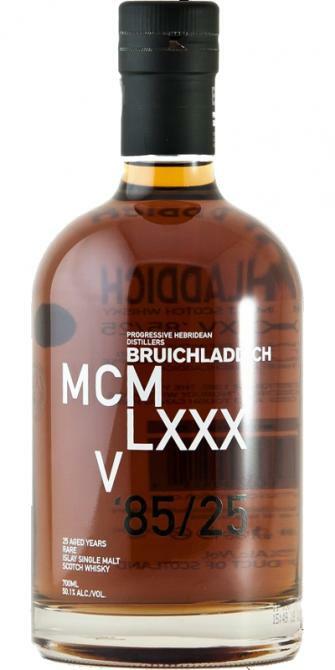 this is one for all fans and collectors of Bruichladdich."